Sweeping views of the St Lucia and Toowong reach of the river, the Brisbane CBD Skyline, the mountains and a glow of the city lights at night ….. ‘picture perfect’ it is! Imagine you and your friends enjoying a relaxing Sunday afternoon on the balcony, cool breezes drifting through. Perhaps they have arrived by City-Cat which is just a six minute walk away. This spacious sixth floor apartment is beautifully presented and put simply, has it all! 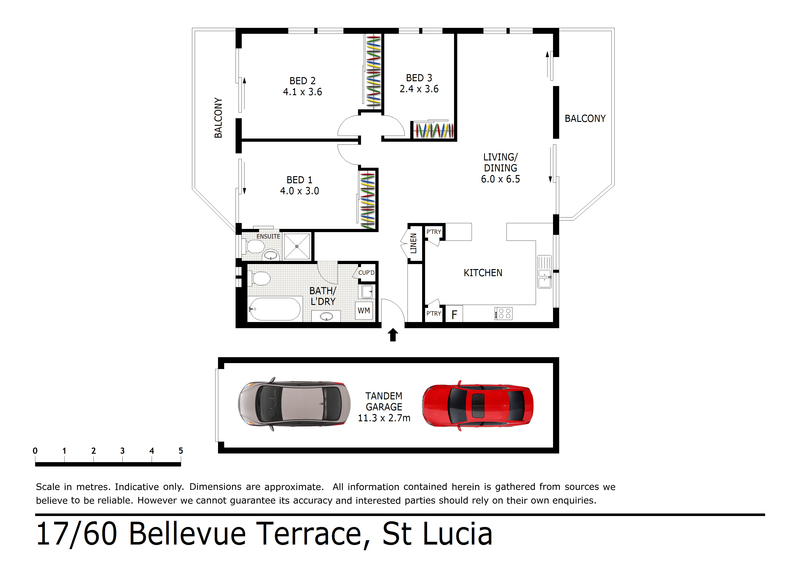 Upon your viewing, you will note just how ‘renovated with style’ this 133sqm, level 6 residence is. Including everything from the living-dining areas, three bedrooms, ample storage, Westinghouse oven/cooktop, Fisher & Paykel dishwasher, Lucci DC fans remote controlled with Winter/Summer settings (in living area/all bedrooms) and Plantation shutters throughout allowing you to adjust the light levels and temperature to your desire. The main bedroom also presents beautifully and offers a newly installed ensuite. You will discover the main bathroom is massive with room to stamp your own personality on this versatile space. Prestigious ‘Darling Point’, is positioned high on the hill between Sir Fred Schonell Drive and Bellevue Terrace. Set in an open green setting of gardens and lawns with the compliments of a pool plus a large recreational area for those who love to entertain. This tightly held building is much sought-after as it offers security and a premium lifestyle in the heart of blue-chip suburb, St Lucia. It’s all class! With all the work done, this is your opportunity in 2019 to enjoy the lifestyle you have always wanted. Come and inspect!